Cellulite is what happens when fat that’s just under the skin protrudes into the skin’s dermal layer, resulting in that undesirable hills-and-valleys appearance. Changes in metabolism, hormonal and genetic factors, stress, weight gain, sedentary lifestyles and possibly certain toxins—they’re all suspected culprits in bringing about this condition. For many who endure cellulite, probably several of these suspects are conspiring together. So what can be done? Sure, they can. But it’s a lot more common in women. The reasons are several. For one, there’s a theory that the female hormone estrogen tends to ‘aggravate’ cellulite. Another, better evidenced cause: Collagen cells are organized differently in women than in men. Collagen cells in men are arrayed in a mesh-like format, more tightly packed so less fat gets through, while in women they’re arranged more in rows, allowing fat cells to push between them easier. Not only that, women also tend to have body fat distributed closer to the surface of their skin, especially over their thighs, where it has more of a chance to protrude into the dermis resulting in cellulite. These are, however, tendencies. Men definitely get affected by cellulite. And increasingly, fat is becoming not just a “women’s issue,” but an issue for our society at large. Is there a medical treatment for cellulite? For starters, cellulite is something the medical community largely considers “normal”—especially as we age—and for which doctors often recommend no particular treatment. 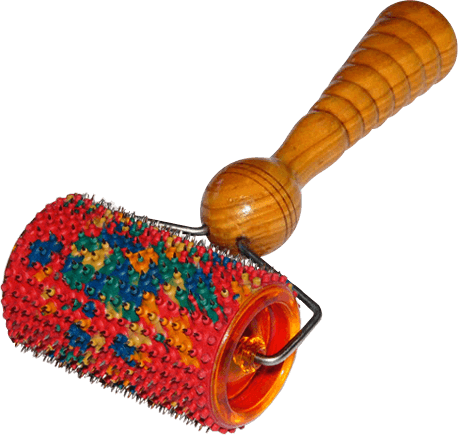 What’s more, if “treatment” means a pill, a medical procedure, something that squirts out the end of a syringe, or some easy-breezy cream, salve, garment or gadget you can buy in a drugstore or from a late-night infomercial, then no, there pretty much is no treatment. No treatment, at least, in the mainstream sense. Cellulite is stunningly stubborn. You will require perseverance and dedication even to reduce it, and much more to eliminate it. Let me offer five specific things you can start doing today to improve your lower body’s looks. One … Watch what you eat. There’s a correlation between body fat generally and cellulite in particular. Studies show female athletes with lower percentage body fat typically have less cellulite. Calorie restriction and optimal nutrition will flood your body with the right raw materials for building healthy cells, tissues, and organs. That same diet will also help reduce underlying fat. Consider trying an all raw diet—now there’s truly optimal nutrition. As your body cells become nourished by top-notch nutrients, you’ll be able to decrease portion sizes and the frequency of your meals—you’ll simply need less food to meet your body’s needs. You’ll begin eliminating food-borne toxins, too. Some high-value foods to emphasize in your diet: walnuts, chia seeds, purslane, and hemp seeds, all storehouses of essential fatty acids that help repair your skin’s epidermal layer. Foods high in anti-oxidants—berries, mango, peas, papaya, and broccoli—will help keep inflammation in check. To improve collagen production, get sulfur and Vitamin A from cantaloupe, sweet potatoes, black olives and carrots. Two… Try a three-day vegetable juice fast. Green juices due to their anti-inflammatory, skin-cleansing and mucus-dissolving properties are essential for beautiful skin, and in improving your cellulite areas in particular. Make these your only food for three days, and keep a cellulite diary during that time. Commit to be physically active daily. I recommend hot yoga in particular. In a hot yoga studio, your body will steadily morph into its original blueprint shape, legs and thighs included. Yoga, as a system of exercise for addressing both physical and spiritual aspects of your life, can be added to your "bag of tricks" for cellulite problems. Don't be deceived by the apparent simplicity of the static yoga poses you hold for a number of seconds: yoga will match, and in some instances surpass a good gym workout. It addresses cellulite from within, by improving circulation and lymphatic flow, stretching the fascia, burning fat and replacing it with muscle. Add heat to your workout by attending a hot yoga class, and you are also looking at accelerated detoxification through your skin during the class and beyond. Your metabolic rate will significantly increase during the class, leading to reduction of body fat, and thus, cellulite. The next time you are in a hot yoga room, rejoice when Hands to Feet Forward Bend and Eagle Poses come up, knowing you will be liberating your thighs from unsightly dimples. It’s simple, in principle: Build muscles. Lose fat. These aren’t the same thing, of course. Not the same process, biologically. Not the same result. Fat doesn’t “become” muscle. You can’t “turn” one into the other—that’s just loose talk. But bodybuilding, as a muscle-building program, definitely cuts down the appearance of cellulite. Fitness research director Dr. Wayne Westcott of Boston’s South Shore YMCA states that lifting weights allows one to build "a firm and strong muscular foundation that smoothens out the irregular, lumpy appearance of skin.” Muscle-building reduces the push-and-pull tension under the skin, which we associate with cellulite. Look to hot yoga or weight lifting, or even better, both for smooth dimple-free skin! Four … Dry brush your body daily. 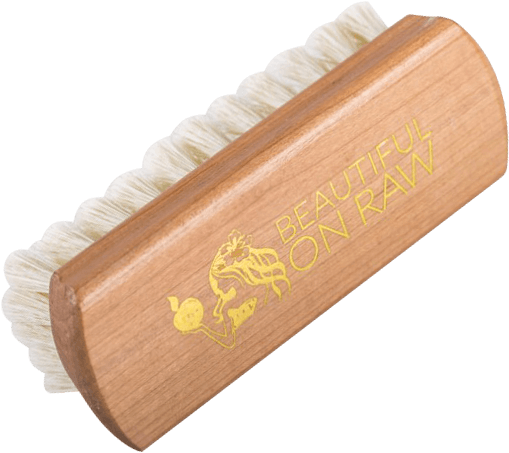 Praised by dieters, beauty experts and health nuts (including myself) alike, dry brushing boosts your circulation, helping break up those fat and toxin deposits. Brush daily before your shower, spending extra time on the areas of your body most prone to cellulite. Any body brush you buy at the health food store will do. To provide the final boost, try using RejuvaRoll on your thighs and buttocks. This will improve circulation in those areas, reducing cellulite from the inside out. For full hair and beautiful skin. Five … Cupping massage for reducing cellulite. My four recommended steps: Diet … exercise … dry-brush … and perform regular juice fasting. They really work! Still many believe that liposuction is the only way to lose that cottage cheese. You know there’s a better way. You can add the ancient practice of Cupping Massage to any sound diet and exercise program for additional cellulite fighting benefits. It’s become all the rage in the last couple of years. Its virtue: Cupping therapy addresses the cause of cellulite, not just its symptoms. Cupping stimulates, revitalizes the lymph system. It helps break down toxins, flush fat cells, and, in the end, help you get rid of that orange-peel texture. One of the best effects of cupping: stimulating renewed blood circulation. A tip for those of you practicing juice-fasting … For best results, perform your cupping massage during your juice fast. Cupping massage is wonderfully adapted to the task of conquering cellulite. Medically, cellulite is by itself not a contra-indication for cupping. But do consider other medical issues—skin conditions, in particular—and consult your physician if you have any worries. Our Venus Body Sculpting Cups can help deal with cellulite. When you perform sculpting massage with these cups, a vacuum is created which increases blood circulation in the massaged areas, causing blood to reach the deeper layers of the skin. As a result, metabolism and the flow of oxygen to the massaged areas increases, subcutaneous fat is burned, and skin surface is refreshed. Follow the instructions for cupping massage provided in the accompanying manual with one change - spend a bit longer time (10-20 minutes) on the cellulite affected areas, such as the thighs. With daily practice, you’ll see tighter, more youthful, supple skin. 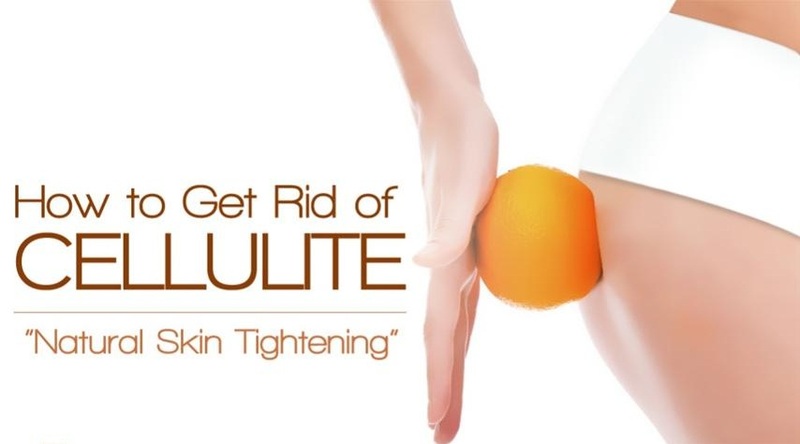 After four to six weeks of regular daily use, most people see a noticeable reduction in any cellulite. Remember though, cupping massage is not a universal remedy, but is an effective weapon in your arsenal in combating cellulite. It, along with the other four tactics discussed in this article, can lead you to smooth, supple, more beautiful skin!